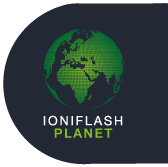 On October 25th and 26th France Paratonnerres participated to the International Lightning Symposium of Shenghzen, in China, for the presentation of two technical and scientific publications. 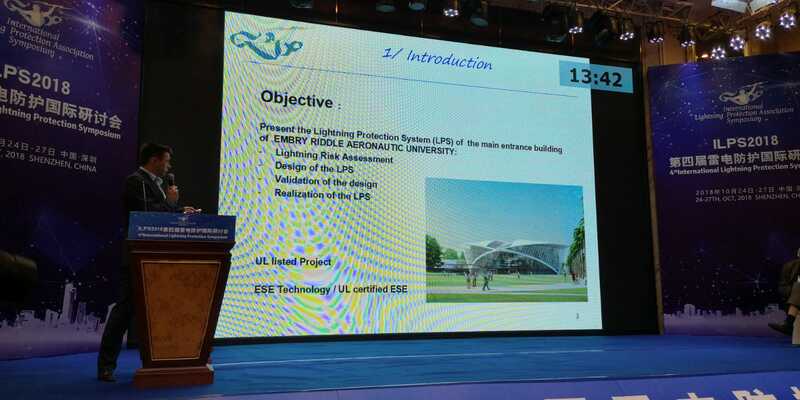 These presentations dealed with the UL Lightning protection system of Embry Riddle University but also standards, regulations and environmental responsibilities in the Lightning protection systems. 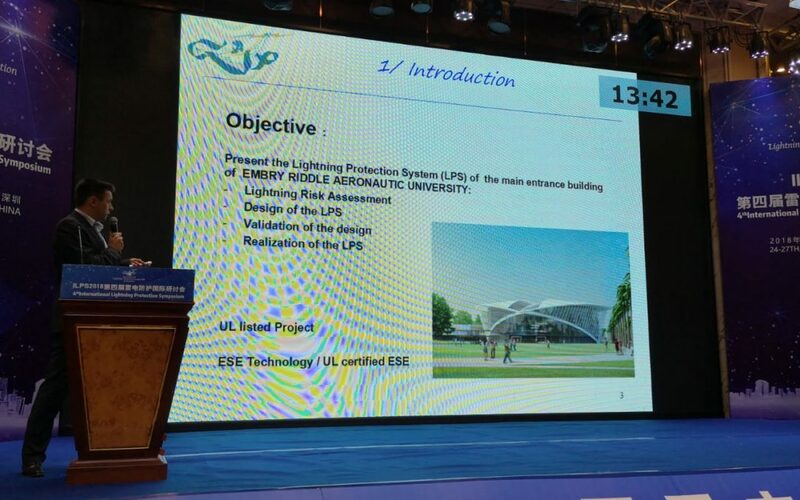 Consult the publication "Embry Riddle University's Lightning Protection System by UL listed ESEAT"
Consult the publication "Standards, regulations and environmental Responsibility in design of LPS"